How can it be December already? I am just thanking my lucky stars that we haven’t had any snow yet! So it is time to break out the Christmas decor and although I am not a seasonal decorator the rest of the year I do like to jazz you up around the holidays. Oh, and as you know by now I like to make things! Sequins and anything else shiny you have lying around. 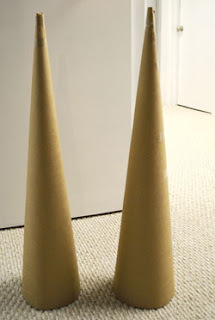 Start by creating cones from brown paper, I started with two identical cones (but have only finished one tree so far). To get the cone shape right draw this shape onto your paper. You can make the cones as big as you like mine are about 3ft. Cut a circle of cardboard a tiny bit smaller that the circumference of the cone base. Use it to reinforce the inside of the cone holding it in place with a bit of tape. 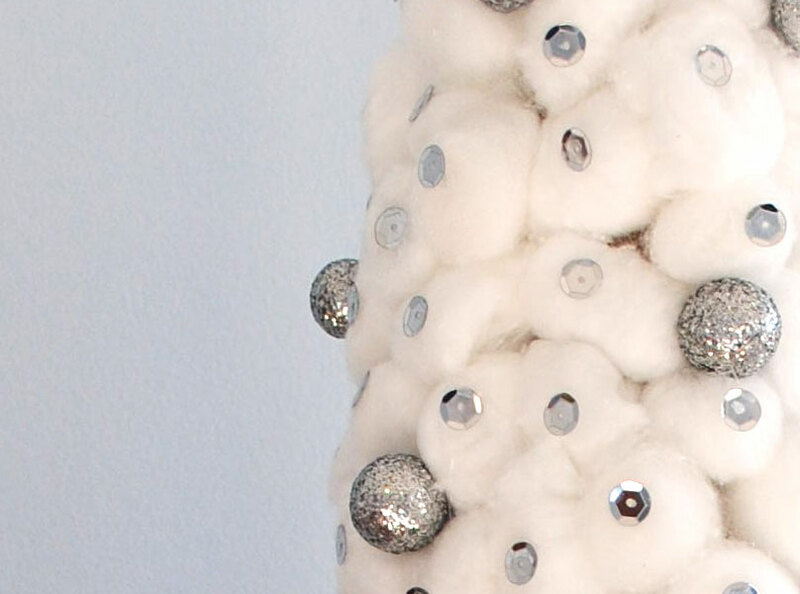 Hot glue cotton balls all over cone then embellish with anything shiny you have. Really pretty! 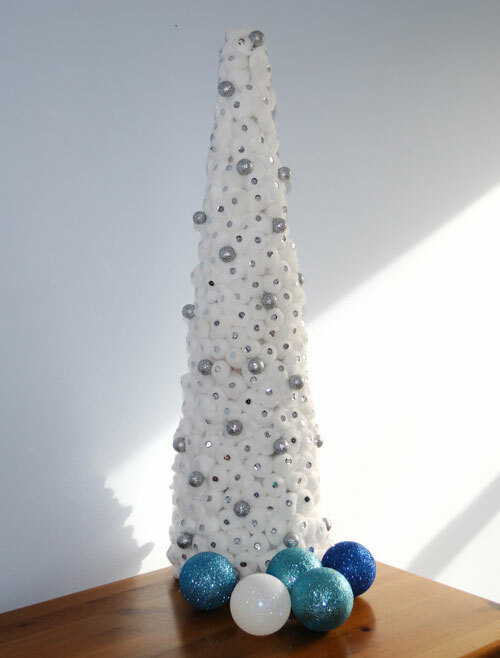 I would burn myself way to many times, trying to get the little sequins on, otherwise I would be tempted to copy it ;o). Thanks for stopping by and leaving a comment on my blog!